This 2 Bedroom flat has been newly redecorated throughout with new carpet in the lounge as is ready to move into straight away! 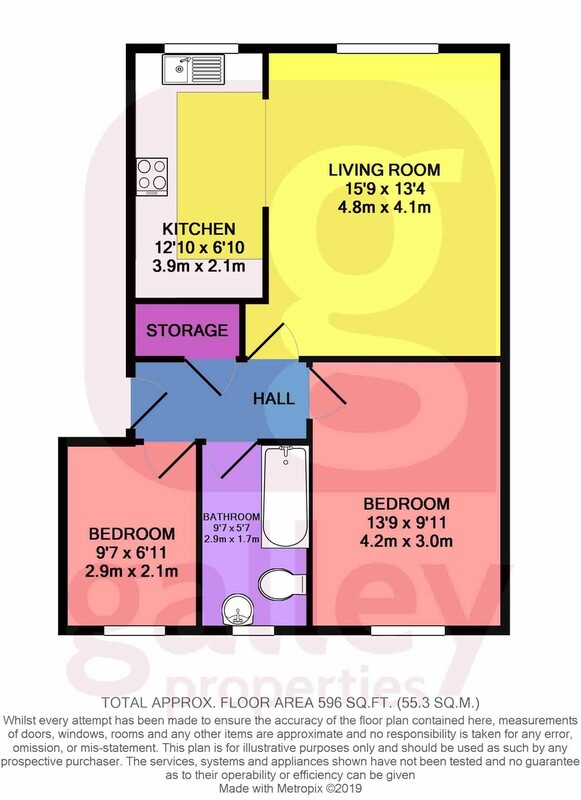 Located on the top floor this apartment greats you with an entrance hallway with storage cupboard and the flat boasts a large lounge with Kitchen area, which has plenty of storage. Large master room and second good size single bedroom and bathroom with shower over the bath. Just a short walk to local shops and Schools, the airport is less than 5 minutes’ drive away and there are also excellent transport links to motorways via the Great Yorkshire. Ideal for a working couple or single professional.